I simultaneously quit my Northeast pulpit for the following year and got accepted to NYU for an MSW. That following year, my 3rd year of school, was now filled with a lot of social sciences classes and no connection to pulpit life. To say that I was a bit shell shocked would be an understatement. I was so lost that year, more lost than I wanted to admit. I wasn’t “Cantorial Intern Laura Stein” at any synagogue. I mean, I didn’t want to be and…now I wasn’t. So shouldn’t I have been happier? Then an email arrived. It was May, the end of my 3rd year of school – a year during which I felt suspended in mid-air somewhere between the identity of a cantor and the identity of a social worker. HUC’s student placement director emailed the entire cantorial school asking if anyone wanted to make the trip up to Poughkeepsie five times the next year. 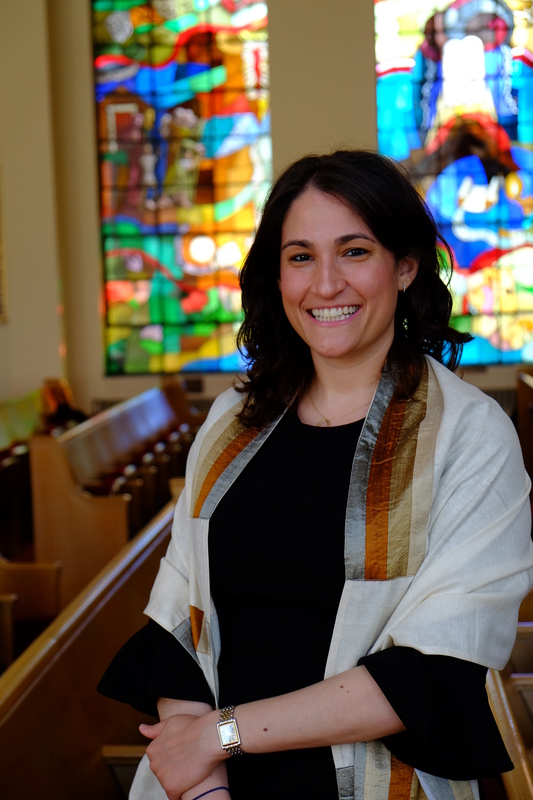 It wasn’t a formal internship, she said, just a way to introduce HUC life to the congregation and show them what a cantorial intern or a cantor could bring. I responded hesitantly. “You don’t like congregational life, remember?” I told myself as I sent the email. “You want to be a social worker who just sings sometimes, remember?” I sent the email anyway. Something pulled me toward Vassar. And so, I came last year five times, as I was contracted to do. It was supposed to be a short stint – just a way to show the congregation what an HUC student could do, and try to sell cantorial music and the value of having a cantor. And yet – it wasn’t a short stint. That email that I responded to oh-so-hesitantly changed my life. I said this to Rabbi Berkowitz on the phone the other day – that this internship changed my professional trajectory – and she said, “Wait, really? I didn’t know that!” I don’t think I’ve shared that with the congregation, since my job doesn’t include much speaking from the bimah. So let me take this time to tell you: This congregation is the home I had been looking for during my five years at HUC. Leah – you are the mentor I had been waiting for during my five years at HUC. Joe – you are the musical partner I was waiting for during my five years at HUC. And you: the congregants. All of you were the voices I had been waiting for. The people who’d sing back when I said “now your turn!” The people who’d watch my recital online and support me as I finished my graduate school journey. I want to thank the music committee, the ritual committee and all of the people who brought me into the Vassar Temple family and made it possible for me to find home among you. I want to thank all of you who have invited me into your prayer life, into your homes, and into your lives in general, so that I could be on your Jewish journeys with you. It’s hard for me to believe that I was here for two years. After my first pulpit and my first year at NYU, I said I would never find another home. But Vassar found me. I now see myself as a cantor who can work in congregational life. This wonderful community has taught me that integrity can exist in synagogue life and that Judaism is alive and well. Thank you for everything you have given to me. V’yarechecha – May God Bless all of you.